Boyfriend, husband, father, brother, uncle twice removed – no matter what your relationship is to the man you’re shopping for, buying gifts for men who have everything can be a real headache! While it might seem like he has every piece of golf equipment techy gadget his heart could desire, you’d be surprised by how many unusual gifts for men there are that he didn’t even know he wanted. Or that even existed. All it takes is a little thinking outside of the gift box. Whether he’s a sporty stud, a wanderlust warrior or a boozy bloke, there’s a totally unique gift for him that will not only put a smile on his face, it’ll surprise him too! Well then what could be better than playing 18 holes with none other than Nasser Hussain, one of England’s greatest ever cricketers? 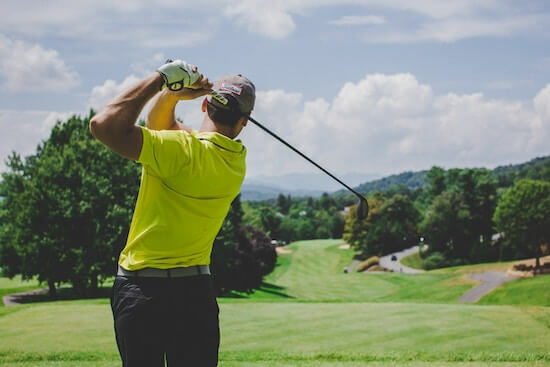 If he’s lucky enough to be graced with this gift, your favourite man could be spending an unforgettable private golf day whacking golf balls down the lush greens of Thorndon Park Golf Club, one of the top golf courses in the world. If he’s not too star truck, he’ll have the chance to pick the brain of Hussain, hearing legendary stories of how the former captain victoriously led England to win four Test series in a row. Now isn’t that a better gift for him than yet another golf club? I think so. A pen? A pen? That’s not exactly a mindblowing gift for him, is it? Well, the Fisher Space Pen is. Putting all other writing devices to shame, the revolutionary gas-charged ballpoint pen is able to write in a bunch of crazy conditions, such as underwater, upside down, in a vacuum, in extreme temperatures and even in zero gravity. The impressive pen was first used aboard the first manned Apollo mission in 1968 and today the pens are still flown aboard every manned space flight. Okay, so the chances of him flying into space and needing something to write with are slim. But in terms of gifts for men who have everything, it’s still a pretty darn cool gift right? There’s a relationship between a man and his steak that has stood the test of time. Little has changed from the age of cavemen – men still relish the thrill of stalking and hunting their prey, rewarded with a bit fat juicy chunk of meat. In fact, according to a survey by YouGov including more than 1650 men, men would rather give up smoking and drinking more, and even move abroad, before they would give up eating steak. Ok, so we get it – men love steak. For the ultimate steak experience, treat him to a once-in-a-lifetime dining extravaganza in the private den of M Restaurant. This premium destination is one of just a handful of restaurants outside of Japan licensed to serve Tajima-gyu wagyu the world’s most sought-after beef. Premium 10+/A5 grade Kobe beef paired with one of the rarest wines in the world? It doesn’t get any more steak-tacular. If his idol is hotshot fighter pilot Maverick (aka Tom Cruise) from Top Gun, this gift is bound to make his spirits soar. Give him the unique opportunity to experience the life of a real pilot with an immersive flight simulator experience. Taking virtual control of a Boeing 737, he’ll practice take-offs and landings, engine failures, fires and hundreds of other possible emergencies. Luckily, this is all done safely on the ground in a very realistic simulator. No-one’s lives are at risk if his aviation skills aren’t up to scratch. While the increasing interest in 3D printers is undeniable, you may be questioning if buying one of these revolutionary machines as a gift for him is a good idea. I mean, what would he even make with it? The latest trend in additive manufacturing, food 3D printing promises endless hours of culinary fun (and satisfaction) in the kitchen. Chocolate, cake, pizza, pancakes, you name it. All freshly printed natural food made at home by a controlled machine. Just picture it – he gets home from a night out with the boys with nothing in the fridge and nothing to eat. No problem. He commands his snazzy Food 3d to whip up a hot customised pizza. Isn’t technology incredible? You’re probably thinking you could do with one of these awesome machines in your home too! 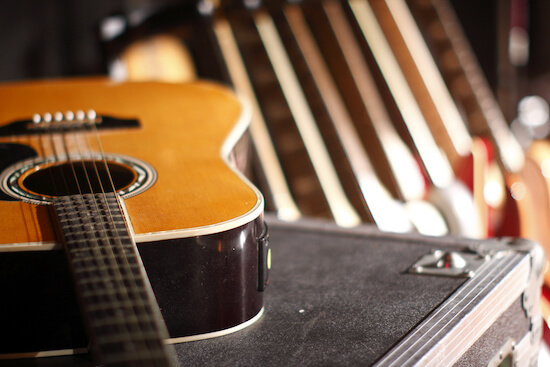 Whether he’s a struggling musician or a wannabe rockstar that had to give up his dreams years ago, this unique gift experience is a dream come true for any serious muso. Working with a world-class senior sound engineer who’s worked with the likes of Coldplay, Muse and Ed Sheeran to name a few, he’ll record his own singer-songwriter EP in one of London’s top recording studios. After a full day working with state-of-the-art visual and audio equipment, he’ll take home his very own professional recording on CD, to play at home on repeat. For any brewski-obsessed man, a pilgrimage to the monasteries of Belgium for Trappist beer should definitely be on the bucket list. Beers and monks? Sound a bit weird? Trappist beers are in fact ales brewed by a monastic Roman Catholic order that originated in La Trappe, France in the 17th century. 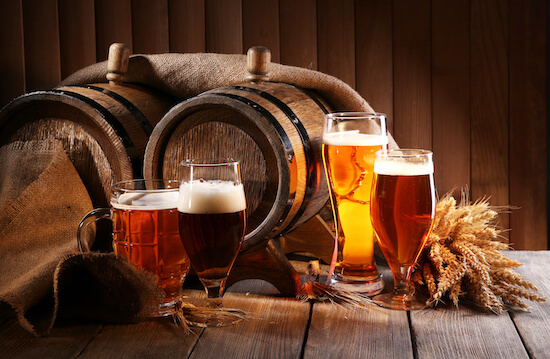 Almost all the monk’s finest brews cannot be bought outside their monastic regions, ensuring exclusivity in the beers visitors are able to sample. And that’s what makes this gift so fantastically special. On this unique Belgian beer holiday, he’ll pay a visit to all seven of the traditional Trappist monastic-breweries, tasting rare iconic Belgian brews at each of their ancestral homes. So he has it all. But has he done it all? When it comes to gifts for men who have everything, you’ve got to really aim high. And this about as high as you can go. Climbing the world’s tallest, most famous mountain is really up there on people’s bucket lists. Wrapped in awe and mystery, the grandeur of Everest is one that must be experienced to be believed. Whether he’s a hiking fanatic or he simply wants to challenge himself, give him the gift of living out his dreams with an Everest Base Camp trekking, complete with a helicopter trip. A special gift he’ll remember for the rest of his life. Haven’t found quite what you’re looking for? Maybe the man you’re shopping for really does have everything. If that’s the case, why don’t you create a totally bespoke gift for him, a gift that literally no-one else has ever received? We’ll help you come up with the craziest gift idea, and turn it into a reality. There really is no limit to how special (and ridiculous) gifts for men can get!